This small uniq complex of 6 villas is build on a small hill (35m above the sea) in a huge land (9500sqm) and only 900m from famous Coral Bay resort. Spacious bedrooms and patios around the pool and villa. wherever you are sitting ( except bedrooms) the view is amazing !! stunning view to the ocean & bananas plantations. The villa is with open plan kitchen wher are : washing machine, fridge-frizer, Gaz hops & electric oven, full equiped kitcen( glasses, plates, cutleries,), didning table & chairs, sofas and TV, DVD and free wi-fi. On the covered verands there is a wooden table and chairs from where you can watch kids in the pool and enjoy the magnifised view with glass of wine. I love to welcome people in my place and see happy faces. I'm a person with big & warm heart where is a place for all people. The place is amazing. very peacefull, private and relaxing. Amazing, stunning views to the ocean and bananas plantations and only 900m fro famous Coral Bay resort. We take care for our guests like '' our children''. We live also in the same huge land so any time of the day 24/7 we are next to you for any help, advise, or information. We had cases to safe people life fro heart attack and strok because we knew where and how to take them the soonest to the doctors. whats else --- me !! I'm like a big brother helping for any problem and needs of my guests. Always here for them. the famous Coral Beach is only 1500m away. Blue flag beach with water sports, sunbeds, unmbrelas and 2 kiosks selling drinks and snacks all day. few Golf clubs in about 25-30km away. Coral Bay area is the best place for holiday in Cyprus. peacefull, relaxing and very safe area ideal for families and elderly people looking for nice weather, friendly atmosfere and warm welcome. 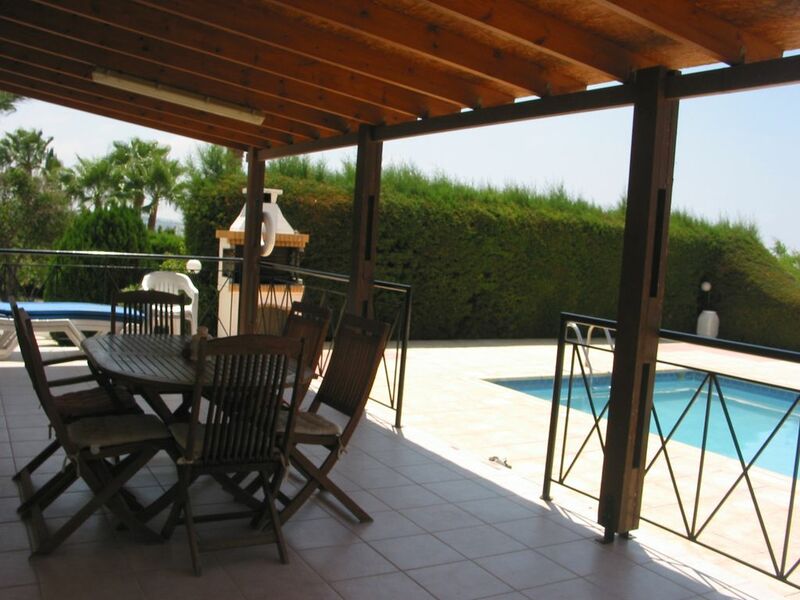 Paphos area is full of small villages, wineries , monastries and lots of places to visit during the day and in the afternoon to enjoy your pool & BBQ with glass of wine of cold beer and late to enjoy the stunning sunsets.